Stop 21 is the main street of Togura Onsen. The onsen town Togura-Kamiyamada is actually made up of 3 separate onsens – Kamiyamada which is just to the west, Togura centered on this road, and Shin-, or New- Togura on the other side of the river, The three of them are collectively known and marketed as Togura-Kamiyamada Onsen. 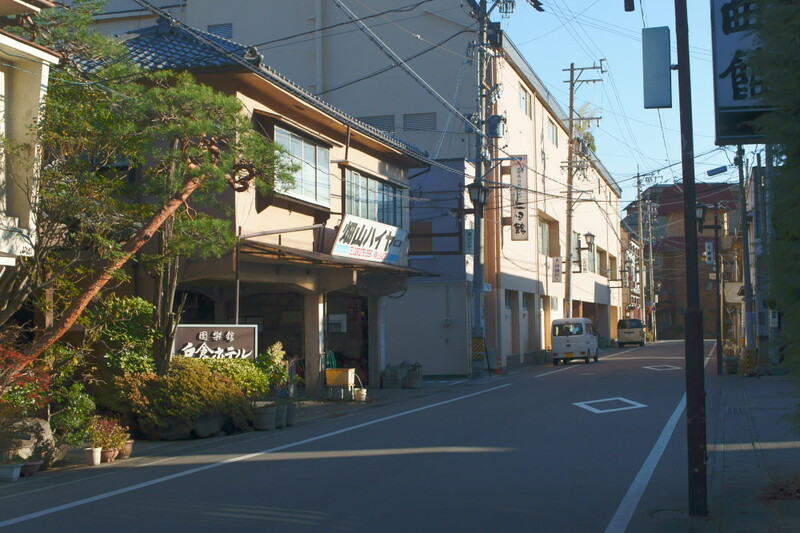 While Kamiyamada has a larger number of inns and hotels, Togura is technically the oldest of the three. Our next stop will be the most historical of all the inns, Sasaya Hotel. We like to think Togura-Kamiyamada isn’t just any onsen town, it is The Onsen Town!